MULTAN: Pakistan has allotted a bank account to a transgender person for the first time, Geo TV reported. 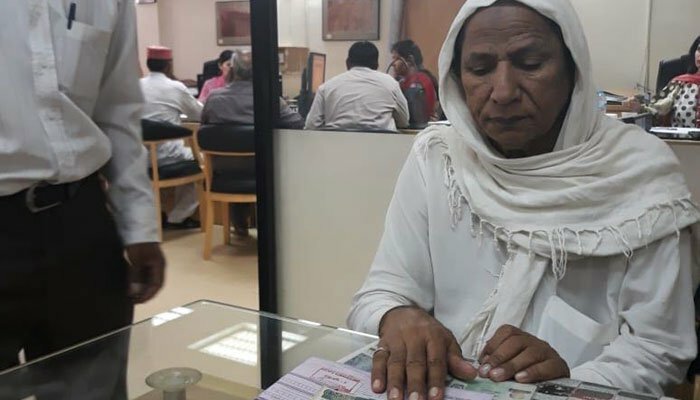 The report citing a spokesperson of First Woman Bank revealed that the account was opened at the Multan branch, for a member of the transgender community, identified as Manzoor. The official stated that the account was opened under the bank’s ‘Zindagi Asan’ category also stating that the bank will open more accounts for the members of the marginalized community. “For us, keeping our money safe was a big concern. We have even lost our hard-earned money. It is not possible to carry money and we even left it at our quarters. When I came to First Woman Bank and spoke to them, they paid heed to me and opened an account,” Maznoor told Geo. She expressed her content over being in possession of a bank account and looks forward to utilizing it for the purpose of saving money. Moreover, Manzoor also added that she would prompt her community to do the same as her in order to save money.